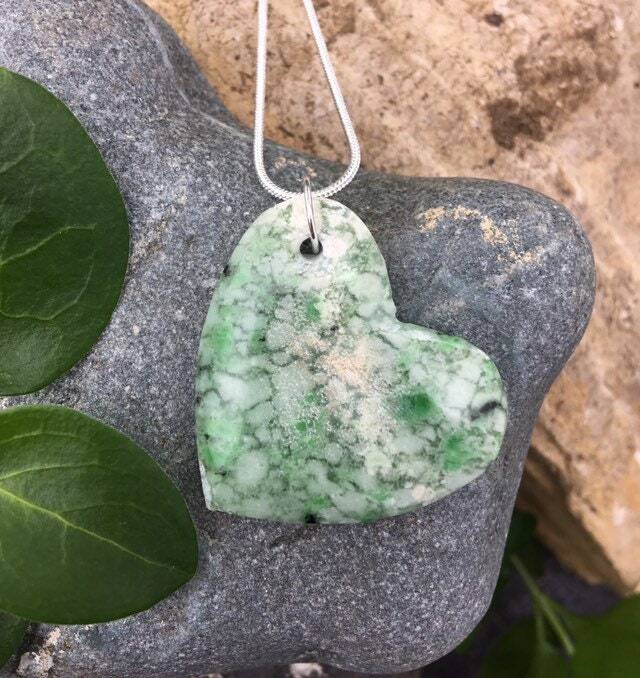 My dad has been walking miles along the Washington rivers, finding beautiful jade, among other types of gorgeous stones. 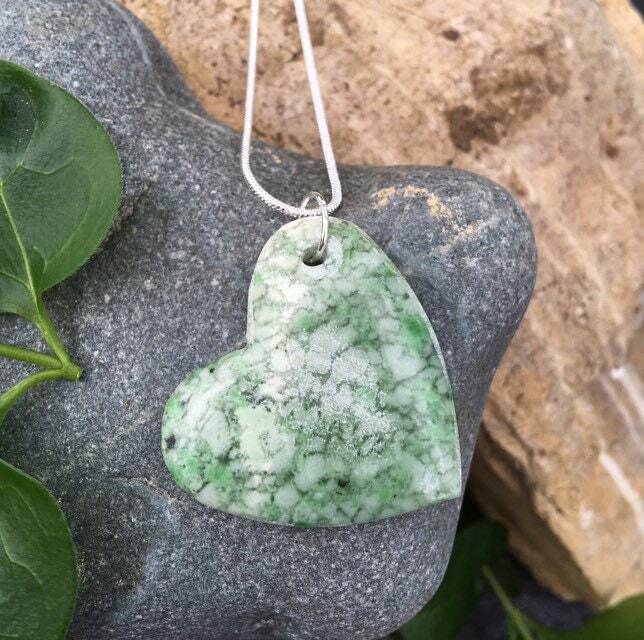 This particular stone is beautiful soft white stone with lovely, light green markings. Lots of character in these Washington stones! He has carved this beautiful heart, showcasing its fantastic patterns. The stone is 1 3/8” long and 1 1/4” wide. It is on a 24” sterling silver chain.